Another experiment to create healthy snack minus the guilt. 1. Diced the apples and combine them with the oats and mix well. 2. Add in the cinnamon powder and brownrice syrup. 3. Mix everything well and bake in the pre-heated oven for 30 mins. 4. Let it cool off a little before savouring it. 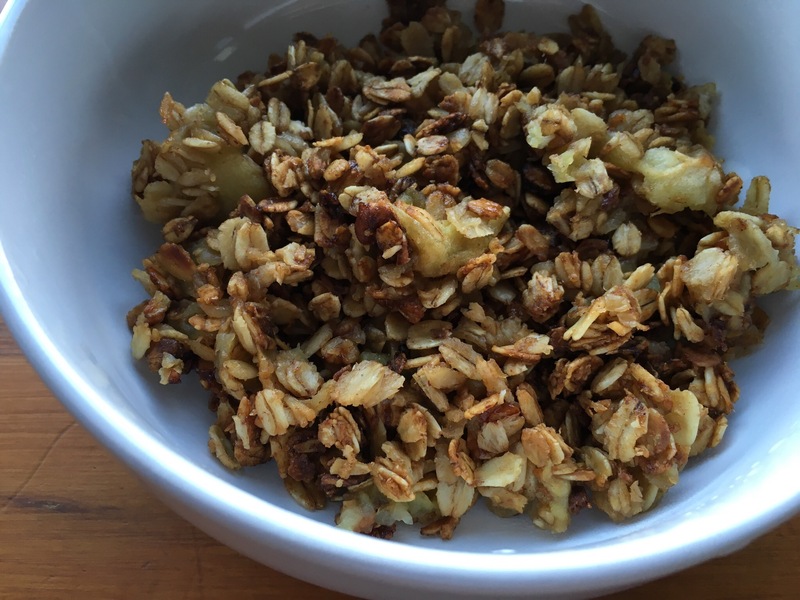 The apples are tender and the oats are crispy. The combination is great and not too sweet.